I was lucky enough to go to The Cake & Bake Show in London last year and see the lovely Peggy Porshen in a sugar craft demonstration. Her flowers are so elaborate and beautiful, I would love to attend one of her courses, maybe one day ! 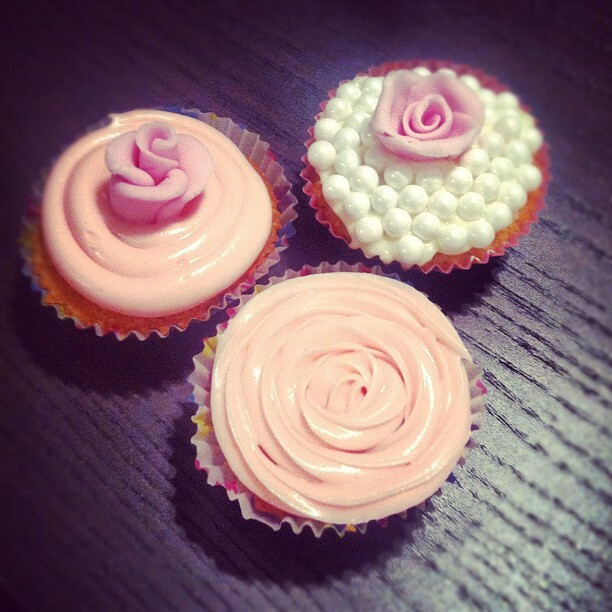 Anyway, I bought some fondant icing and decided to give some roses a go myself. I found this great tutorial and found it was super easy to make these myself. It took a few goes but I think these turned out OK. Here are my fondant roses on some cupcakes I made. I love the edible pearls - perfect for a wedding ! Have you made fondant roses and do you have any other tips?